This is generally not recommended speech when you have a purported retro revival on the horizon. On the record with European based GamerZines, Sonic Team head and Sonic Colors producer states, flat out, his belief that the 3D Sonic title exclusive to Wii will surpass the quality of 2D Sonic games that came before it. 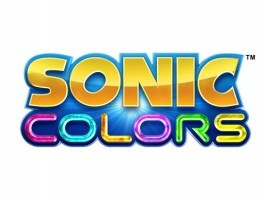 In Sonic Colors, the team looked back at previous Sonic games and looked at the pros and cons of each title, and they hope they have addressed all the goods and bads in Sonic Colors. We believe that this Sonic game is as good as or even better than the 2D Sonic games. Iizuka doesn’t say which Sonic games he refers to specifically in the last sentence or if it’s even a generalized statement to cover both classic and contemporary works, but he also affirmed in the interview Colors will be the best 3D Sonic to date. The latter appears more certain. But a direct comparison to any classic or current 2D Sonic, let alone a promise of a better product, may cross a line for some Sonic fans. It certainly isn’t a vote of confidence in the upcoming Sonic the Hedgehog 4: Episode I, already suffering from a near disastrous PR campaign. And if Sonic Team did look back at past 2D Sonic titles to correct previous mistakes, why weren’t those corrections reflected in Sonic 4? There are a lot of questions to ask from this strange statement. How do Iizuka’s words make you feel? Tell us in the comments. Thanks to Silverwind for sending this tip in. If you have news to share, be sure to share it with us by clicking News Tips at the top of every page.